One wonders how much being the oldest of 13 children influenced Shirley’s decision to enter the convent. Until she entered the convent (age 20), she had many experiences raising eight brothers and four sisters. Holding many responsibilities, she enjoyed watching them grow. Shirley says she did everything but bear them! Coming from a religious family, Shirley learned many spiritual practices with her grandmother who Shirley shadowed many weekends as Grama led the rosary, went to confession, and attended two Masses each weekend. As a teenager Shirley coached girl’s basketball and softball. Pondering what she wanted to do in the future, she knew it had to involve helping others to grow in all ways. Through prayer, she chose being a vowed religious. From Yakima in 1963, she began her new life at the Convent of the Holy Names in Marylhurst, Oregon, joining 33 other young women. She attended college and eventually moved to Spokane where she received her BA (Fort Wright College). Sister Shirley began teaching in Seattle at St. Anne’s then transferred to Immaculate, Everett teaching seventh-eighth grade. 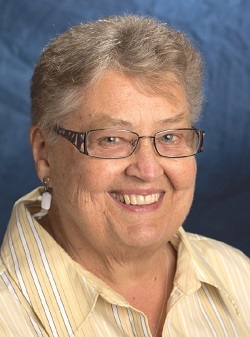 Having pursued her master’s degree in educational administration, she then served as principal at Immaculate Middle School, St. Mary Immaculate (Seattle), and Sacred Heart (Bellevue). Putting the skills of organization she had inherited as the oldest daughter and with practice in the educational arena, she then held varied positions, serving on the Washington Province Leadership as Executive Assistant, then Provincial, and later as a member of the newly formed U.S.-Ontario Province Leadership Team. Shirley served as director of a California Halfway House for women parolees, Activity Director in a retirement facility, and a food bank in Spokane. Shirley feels blessed with many gifts and is eager to share them. She feels honored to be a member of the SNJMs for 50 years! Every day is GIFT!